—Dalby Dash 10k. Club Run. 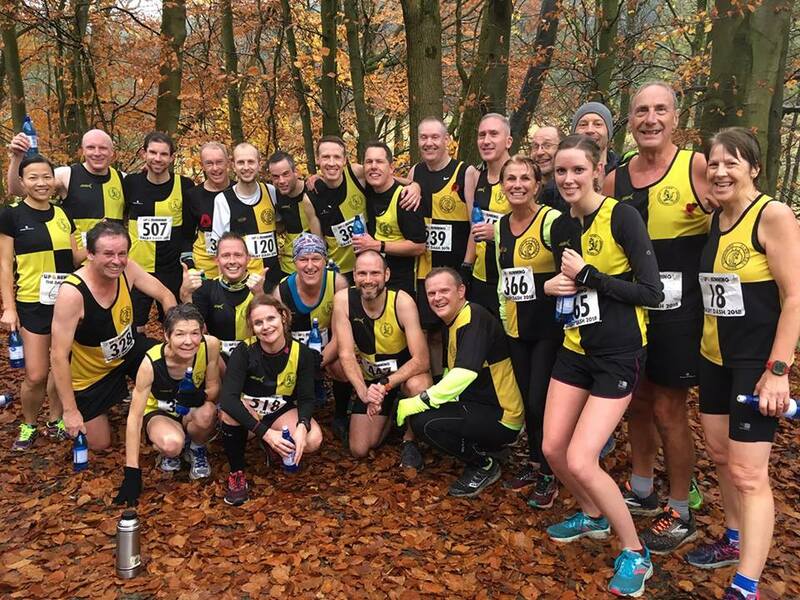 A fabulous attendance of almost 70 club members for this on and off-road race in Dalby Forest. Knavesmire’s Gareth Green was the winner with a time of 34:51 and in form Stewart Creasey is really hitting his stride now , and powered through the finish in third place and a great time of 34:58. Becky Penty continued her fine start to the Winter running season , taking the prize for second Lady, first Lady was Helen cross of York Tri ( she does run 2nd claim for us in XC though ). Andy Holladay was first M50 and Jane Nodder was first F60. 17th and 4th M55 Barry Atkinson. In the Marathon Simon Brockless was 87th overall in 6:30:34 and in the 10K Mark Harney was 8th overall in 1:06:55. —Town Moor Memorial 10k Road Race – Newcastle. —Run Bolton Abbey 10 mile. —Evensplits York 5k Race Series Race #8 – Thurs 8th Nov.
490 participants, 32 from YKH ( 6.5 % of field ). York parkrun PB’s for : no one! 283 participants, 24 from YKH ( 8.5 % ). 72 participants, 14 from YKH ( 19.4 % ).